Of interest to us are the railways and there are four. 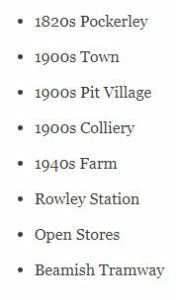 There is the wagonway featuring Puffing Billy giving rides, the Station at Rowley also doing rides and down in the colliery there are standard gauge and narrow gauge industrial lines. 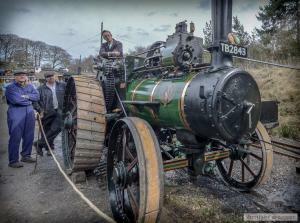 The reason for last weeks four (five if you include setting up) days of play was the annual Great North Steam Fair. 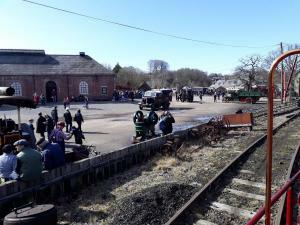 This is a fantastic gathering of vintage vehicles and for this year much of it was Great War Themed. 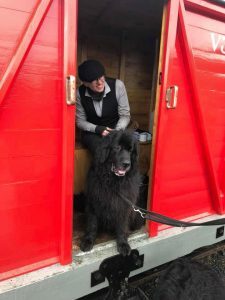 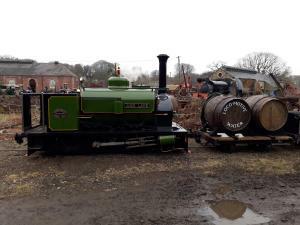 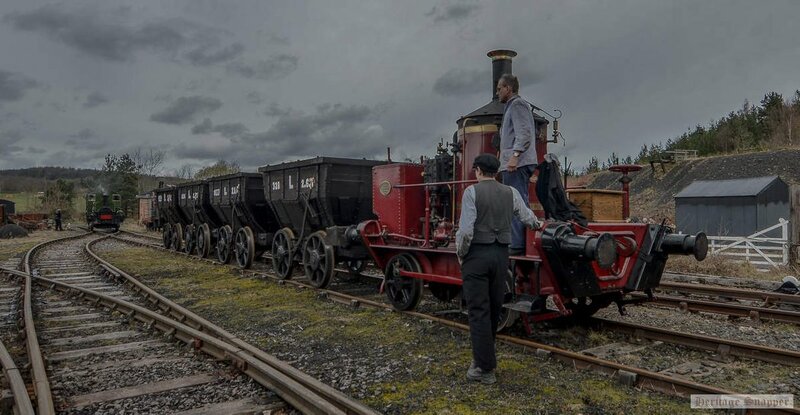 A good friend of mine, and another FR volunteer, is the keeper of transport at the museum and the steam fair has become a bit of an annual gathering for a group of us who gather the operate the railway (and clutter up his house as we all need a place to stay). 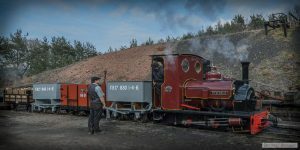 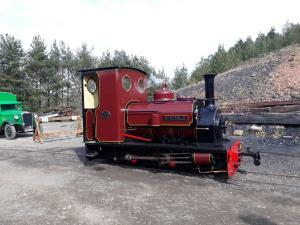 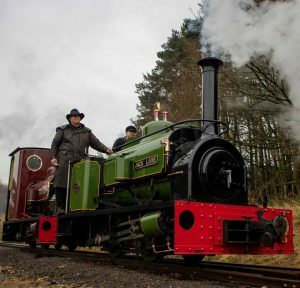 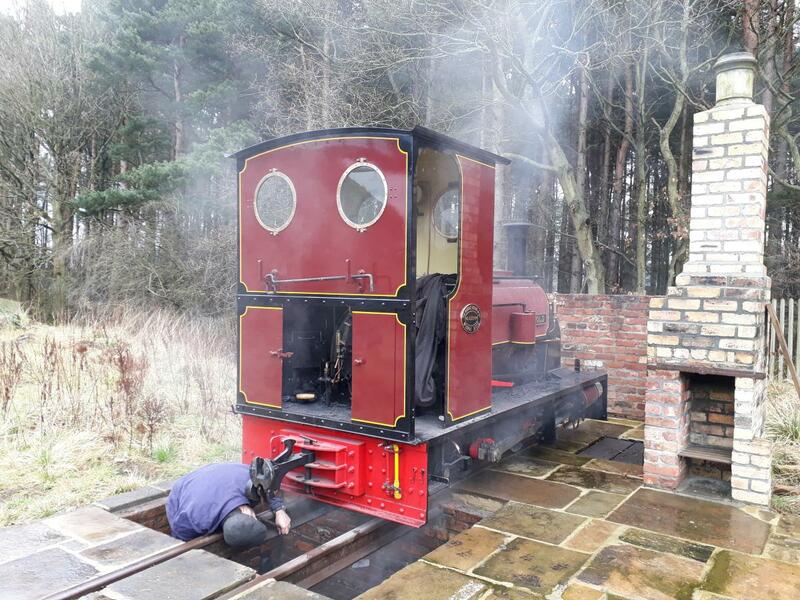 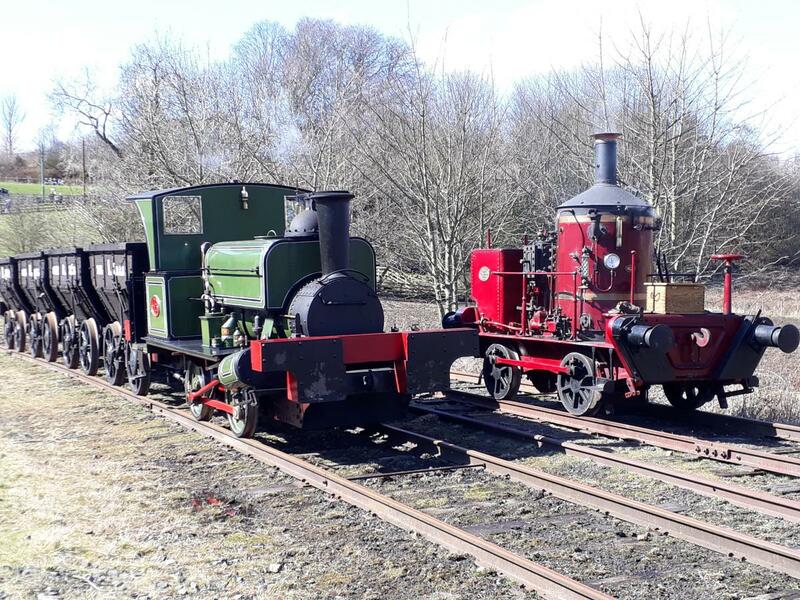 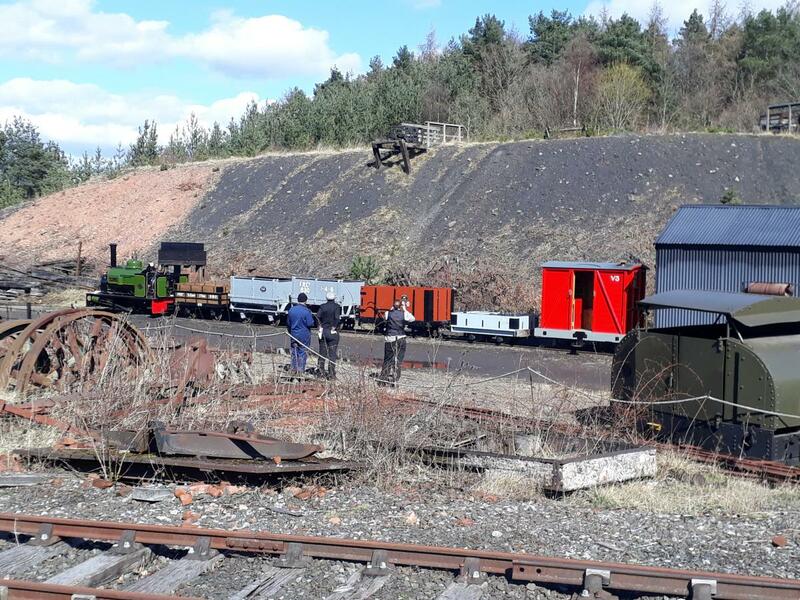 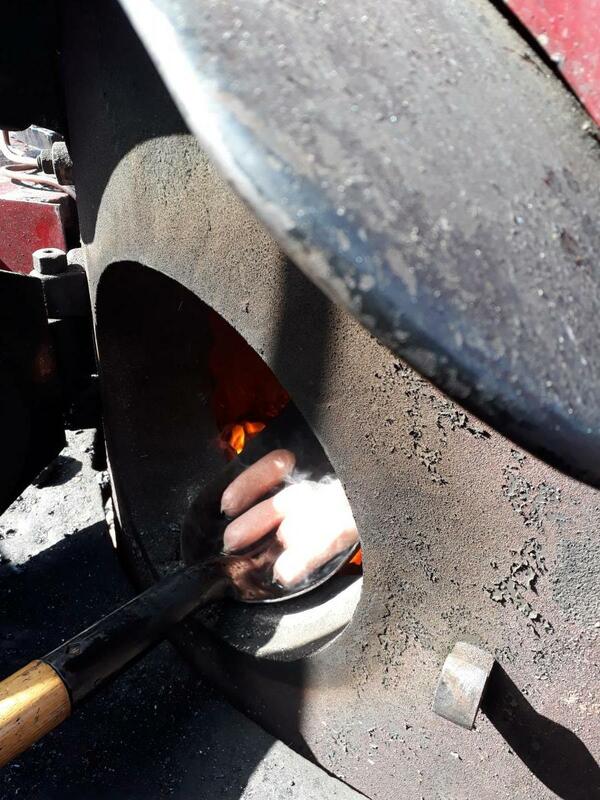 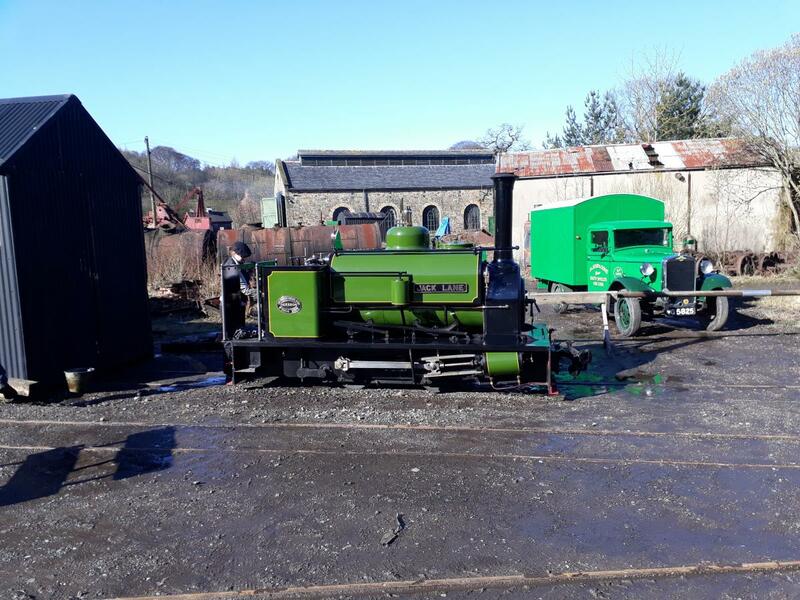 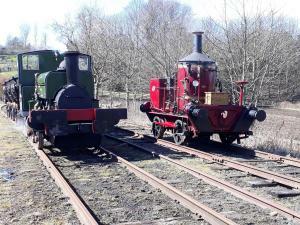 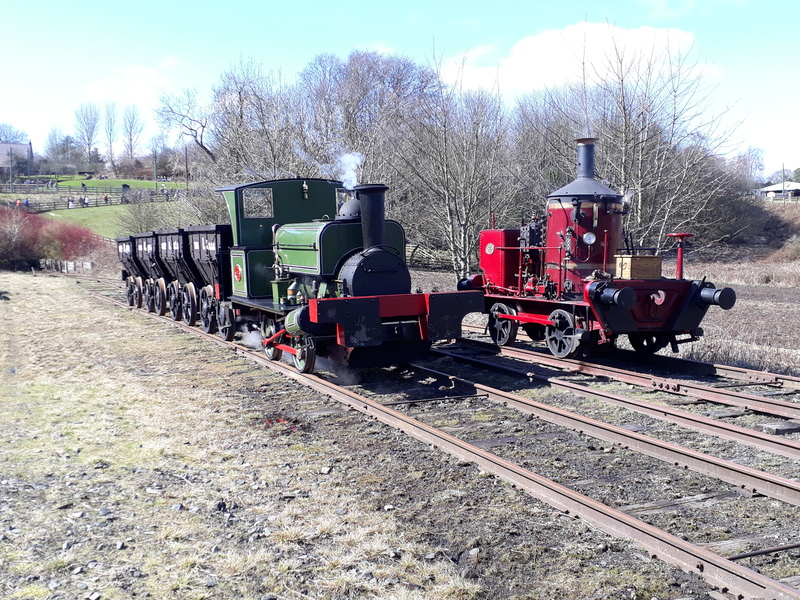 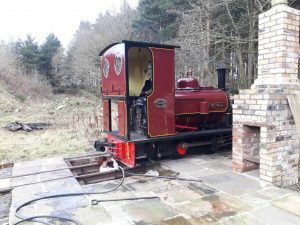 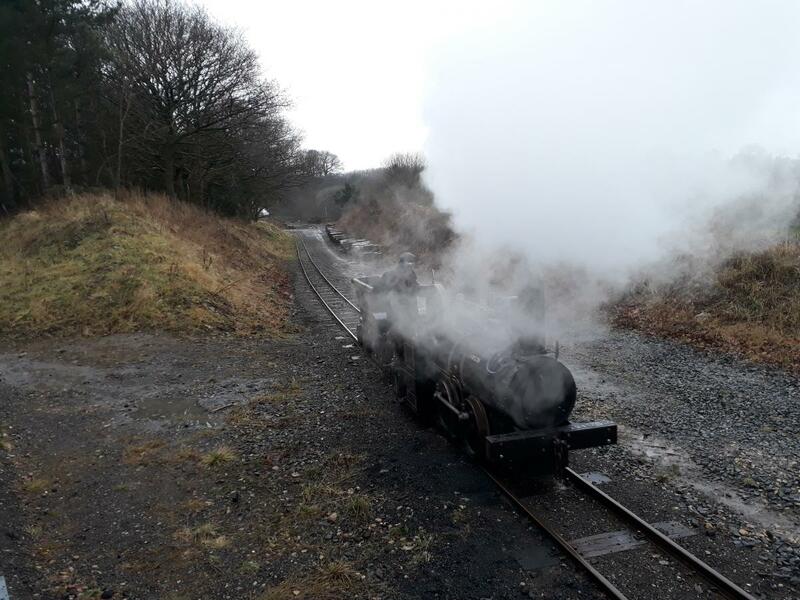 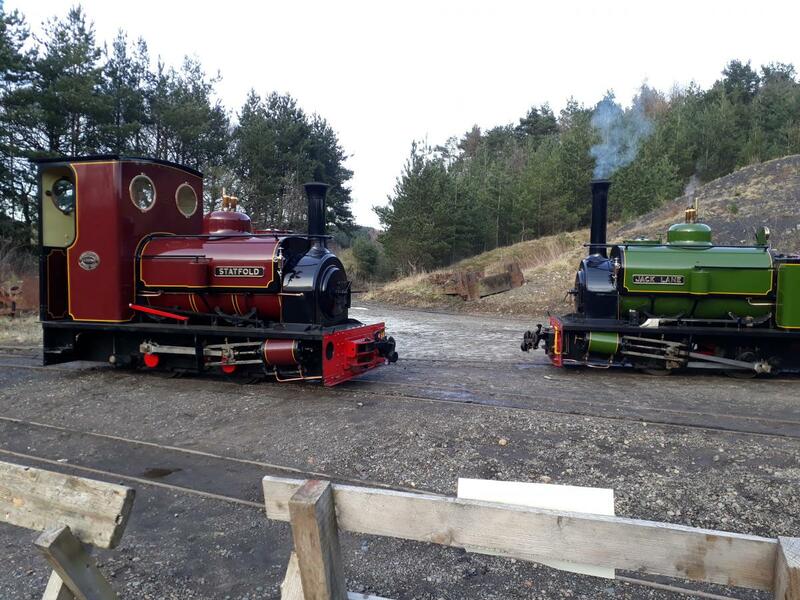 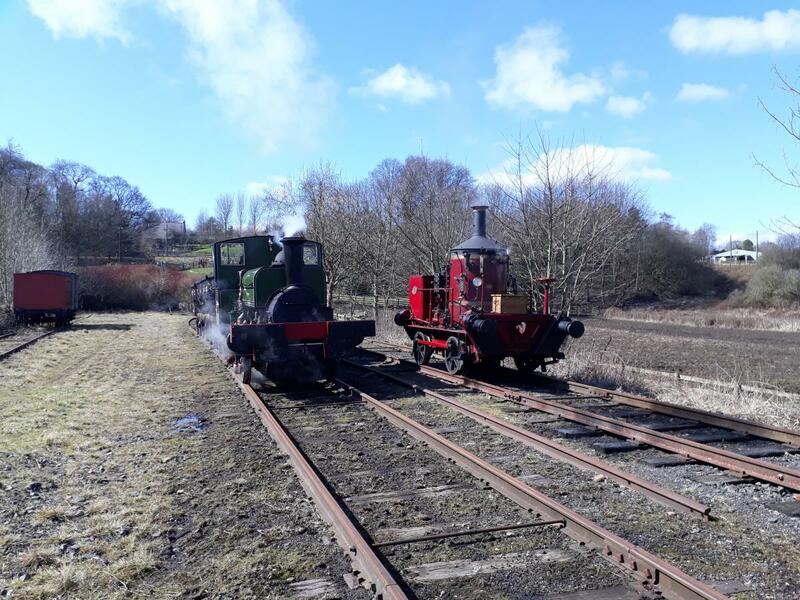 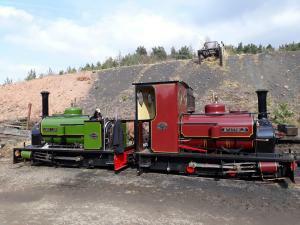 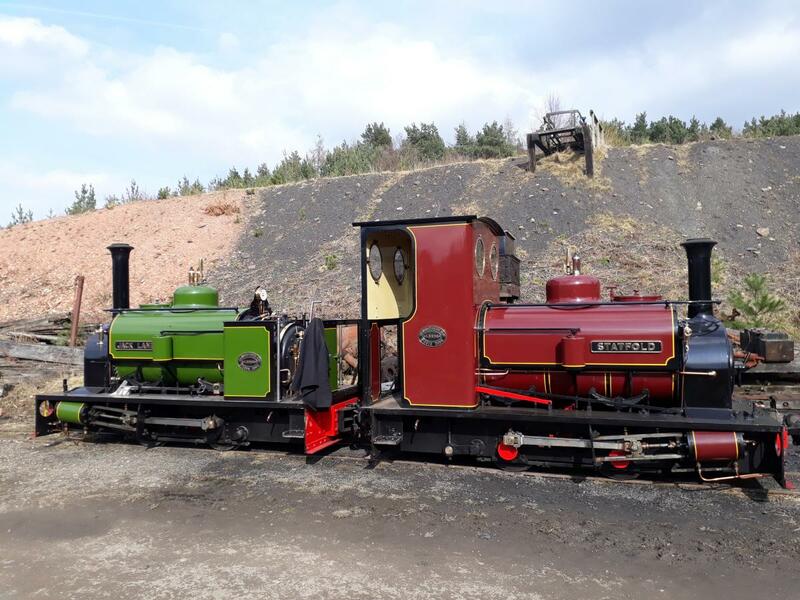 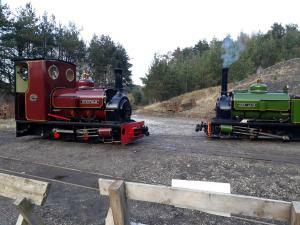 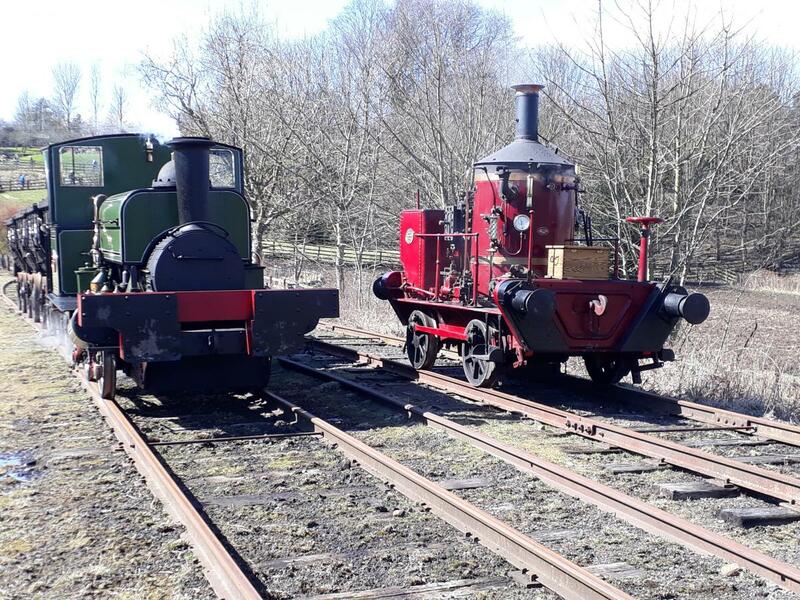 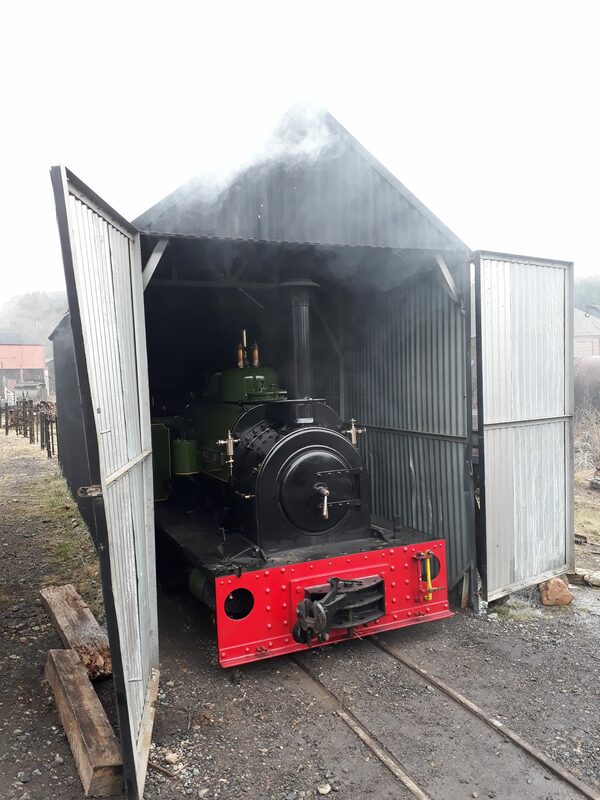 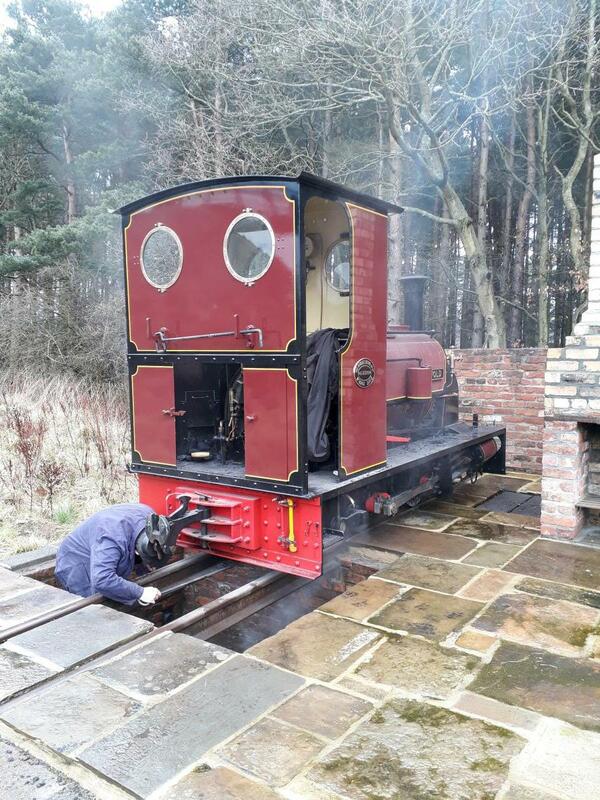 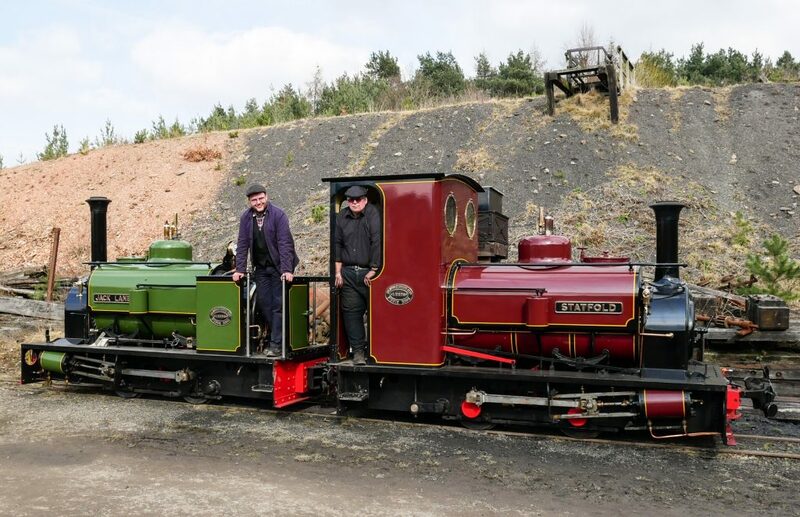 We were operating the two home engines on the standard gauge colliery railway and the two borrowed engines on the 2ft gauge line. 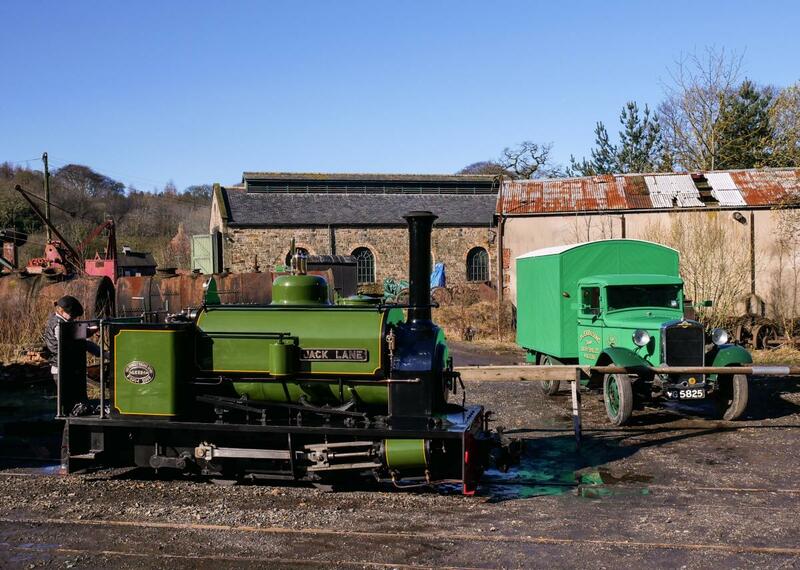 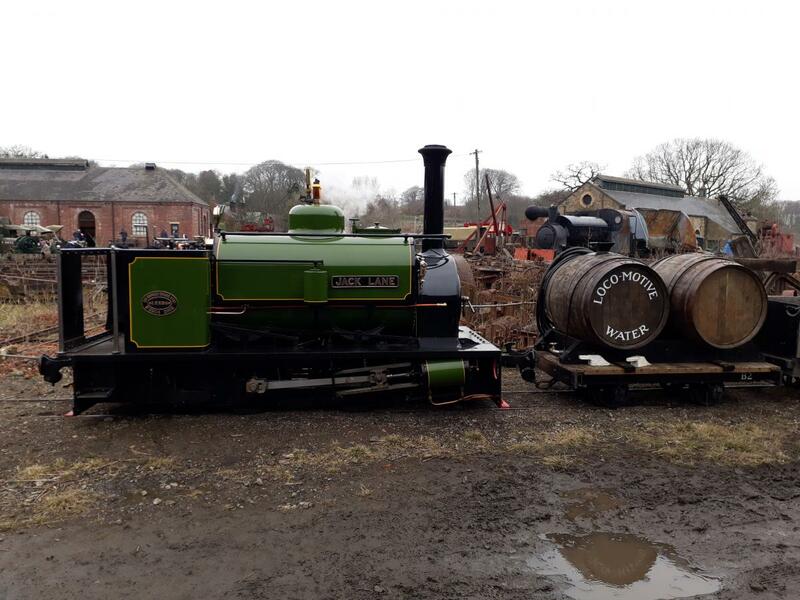 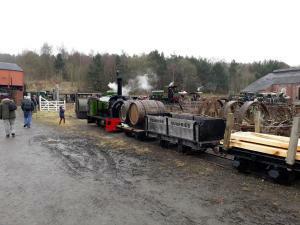 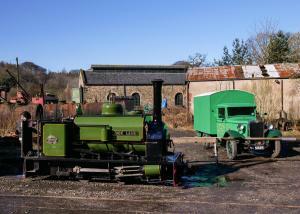 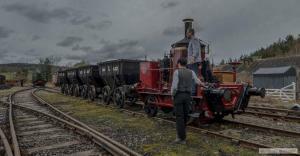 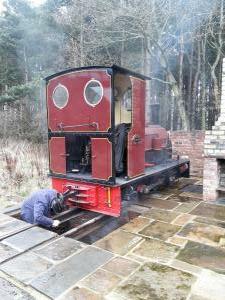 It was also the debut for much of the train we have been building/restoring at our BINGE group through the winter. On the first day Andy and I were percolating on the coffee pot again in a reprise of last year. 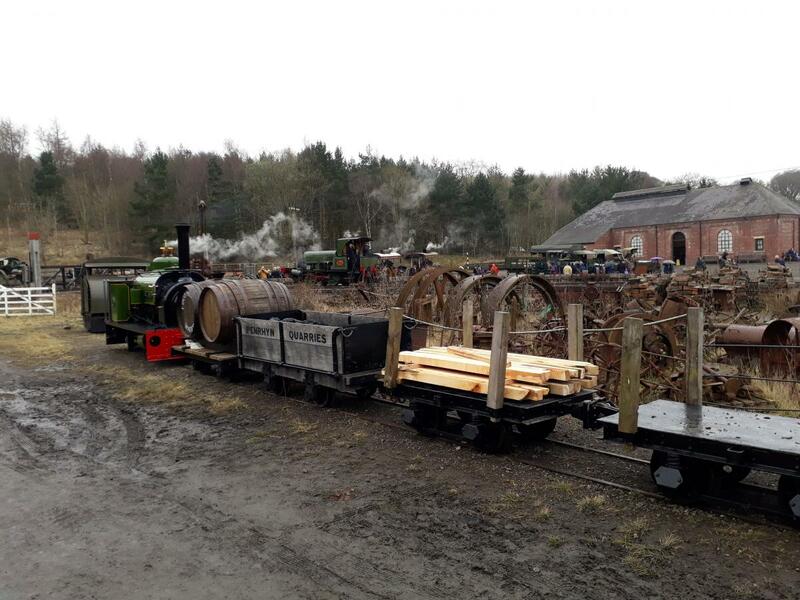 Andy managed to avoid the walk of shame to the wood shed this year. 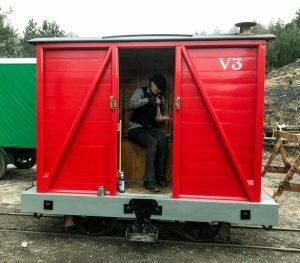 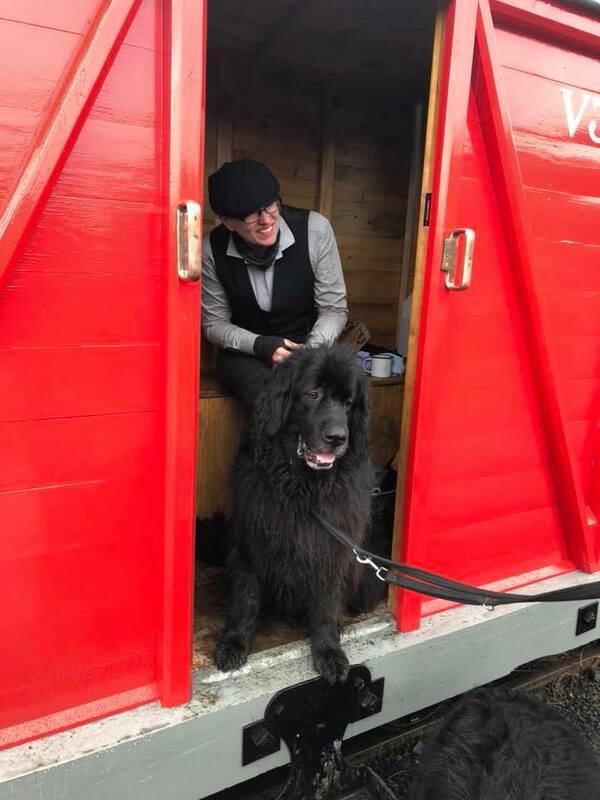 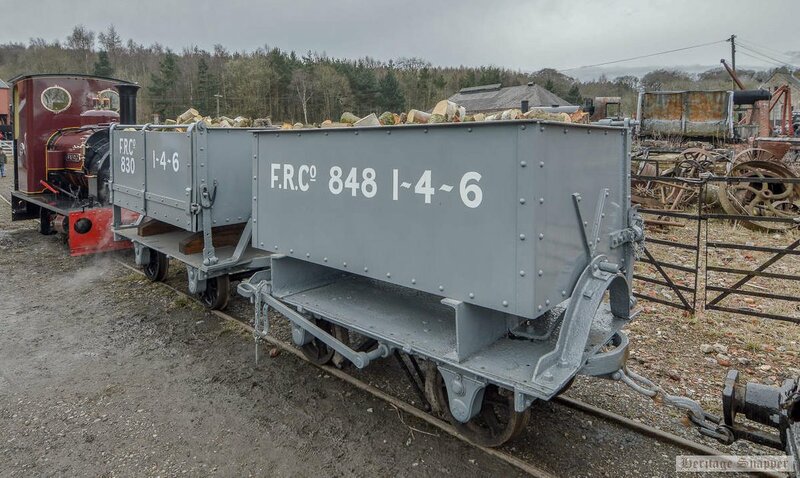 The new brake van comes with all mod cons and spent most of the weekend being referred to as the buffer car. 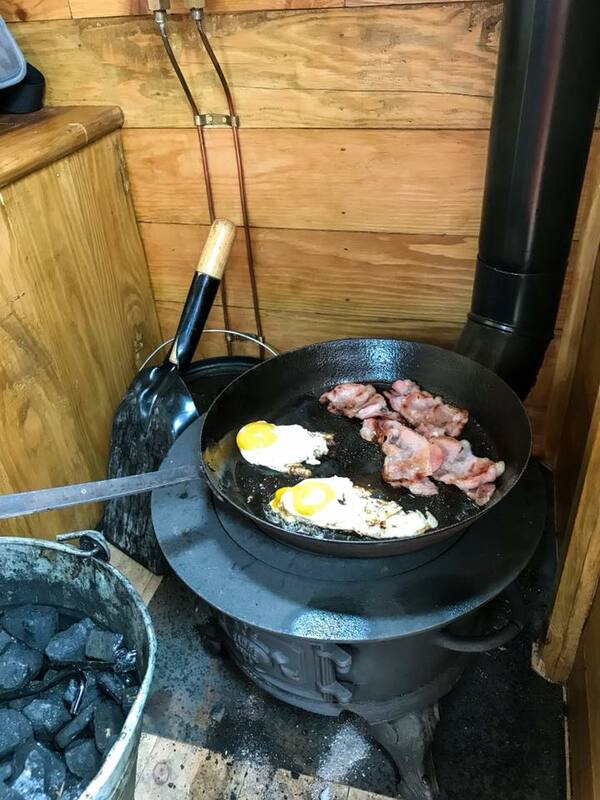 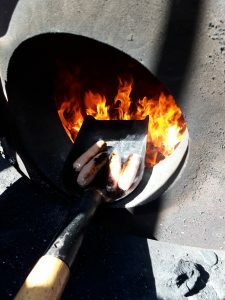 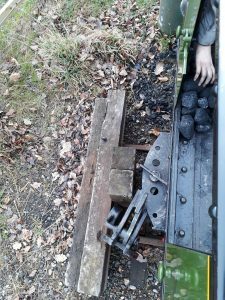 On a morning the routine was kettle on for a brew in the standard gauge mess room, light the fire in the buffet car, role the two Hunslets out, then light a fire in them. 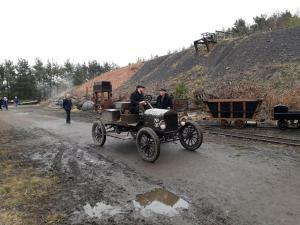 Saturday was stout Macintosh weather but the hat and coat did there job. It was that horrible that Jack Lane refused to come out of the shed. 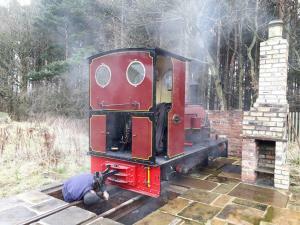 Final instructions for the day were ash out, toys away, go and dry out and warm up! 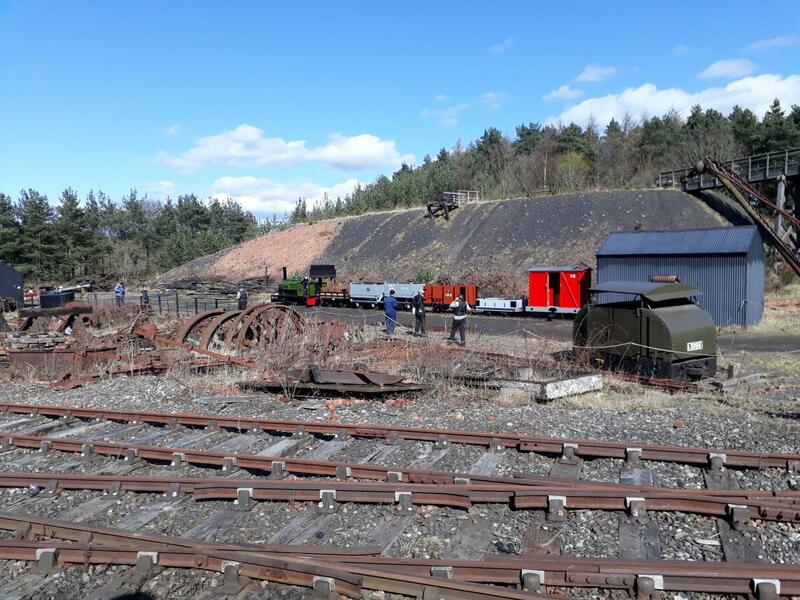 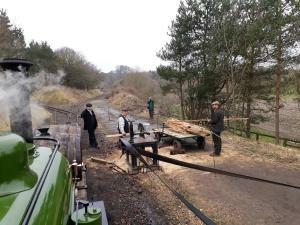 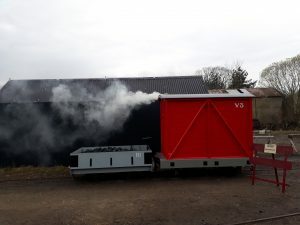 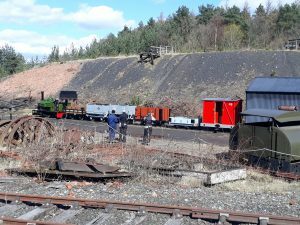 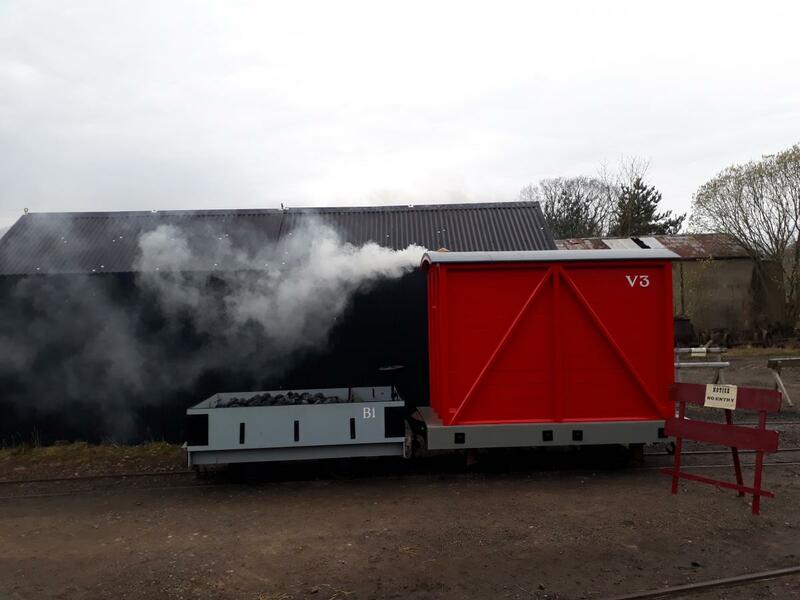 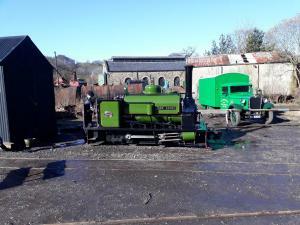 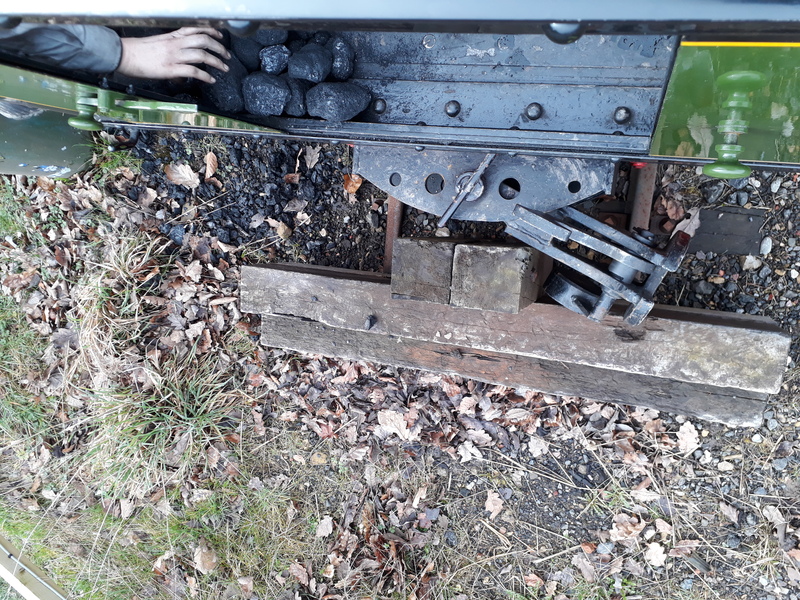 Sunday was better weather again so there was loads more shunting done and we were running out of space in the wagons for the output of the saw bench at Pockerley. 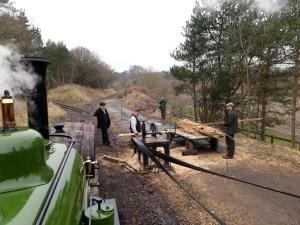 One thing on Sunday was that we went a bit branch line society and did a tour of the buffer stops.